Offered for sale is a beautiful example of the classic ref. 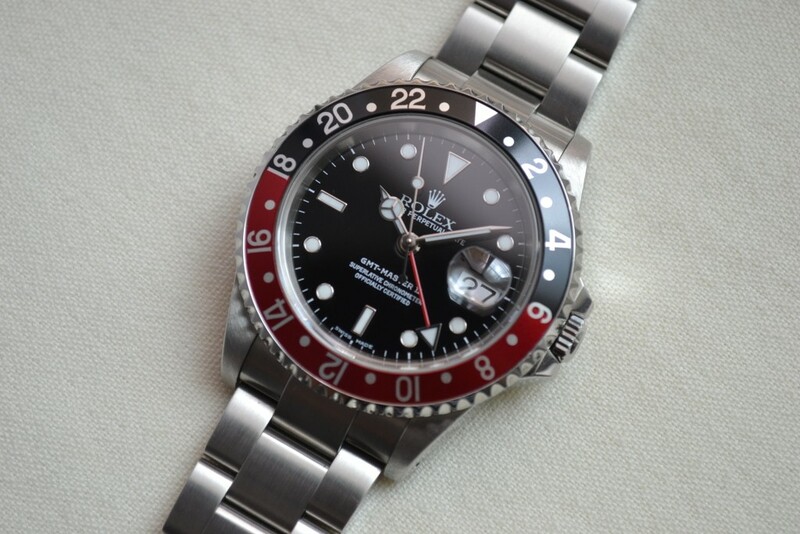 16710 Rolex GMT Master (K Serial #) in excellent condition complete with original box and papers. 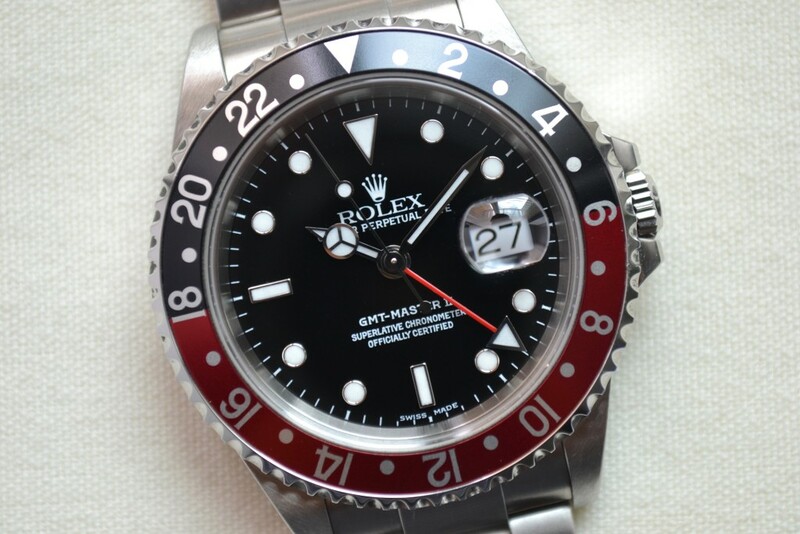 Dial: The original black dial is in excellent condition. 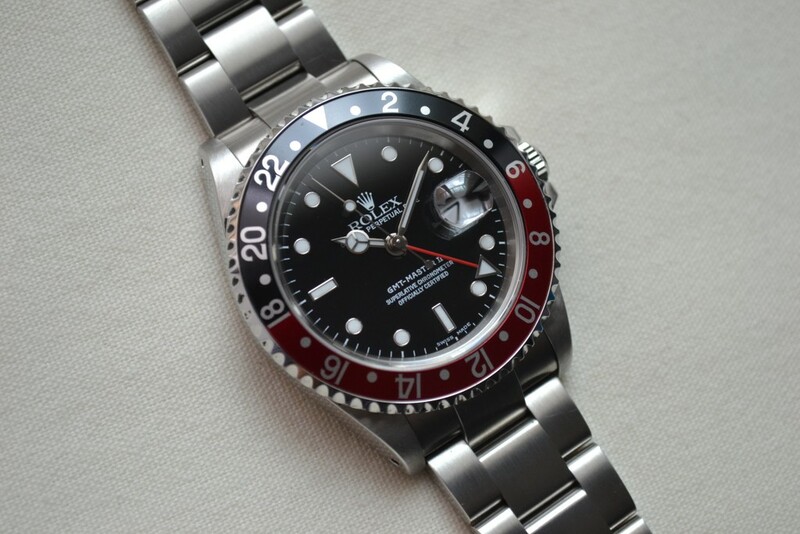 Any sorts of blemishes that may appear in the photos are dirt or lint on the crystal and not on the actual dial. 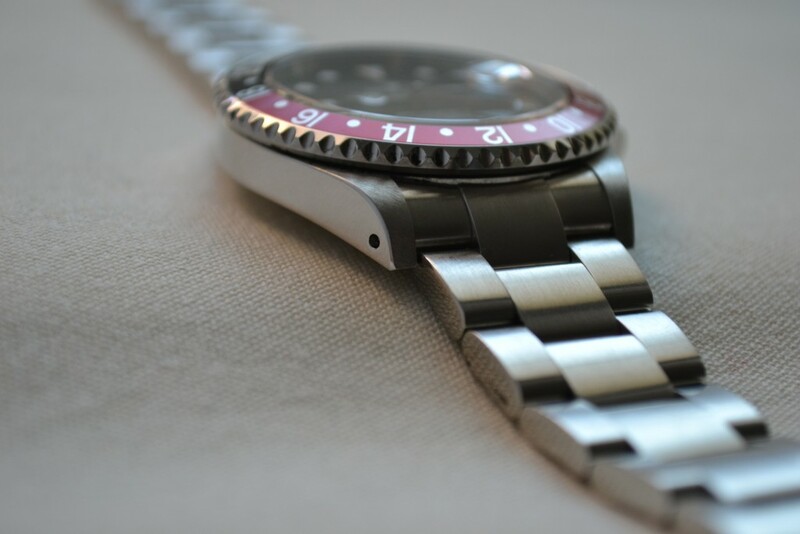 Case: Stainless steel case is remains thick and in great condition. 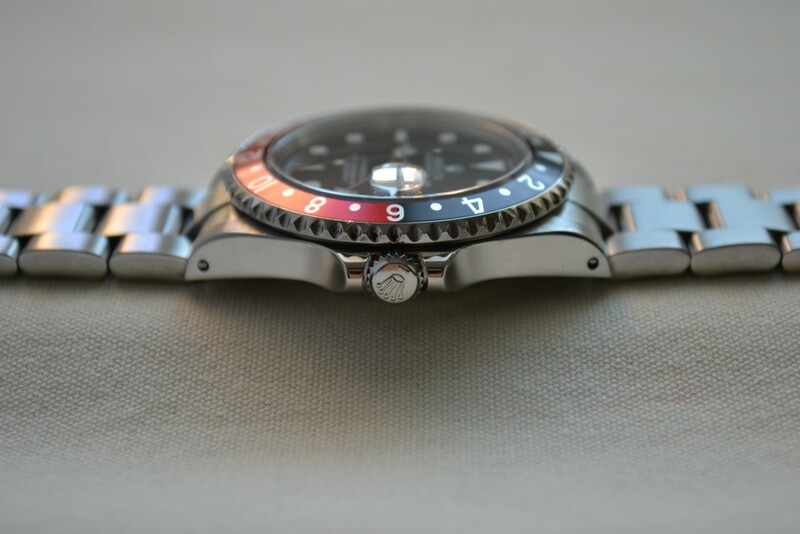 Reference and serial numbers are clearly visible between the lugs. 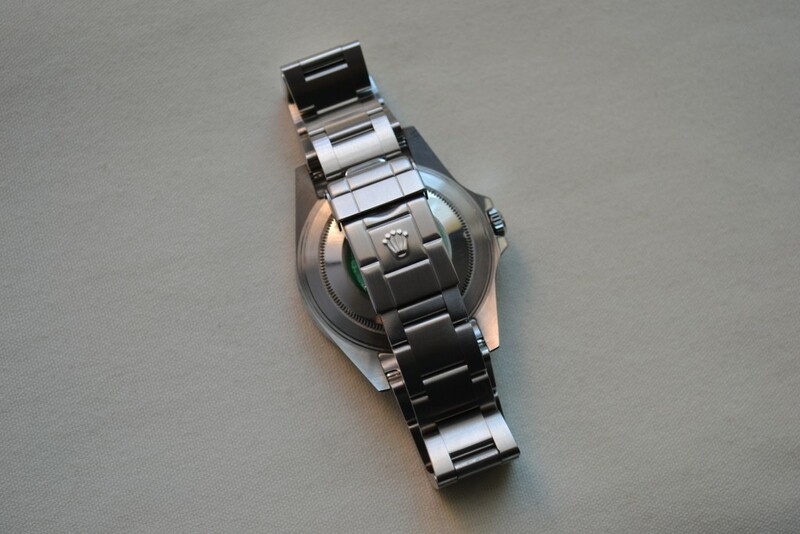 The original green case back sticker is still affixed to the watch. 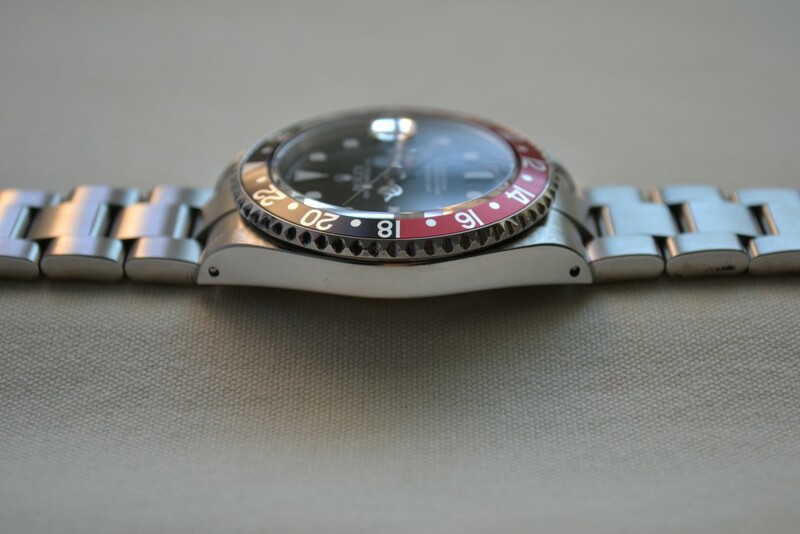 Bracelet: The watch comes fitted with a 78790A oyster bracelet with 13 links and solid end links in great condition showing little stretch. 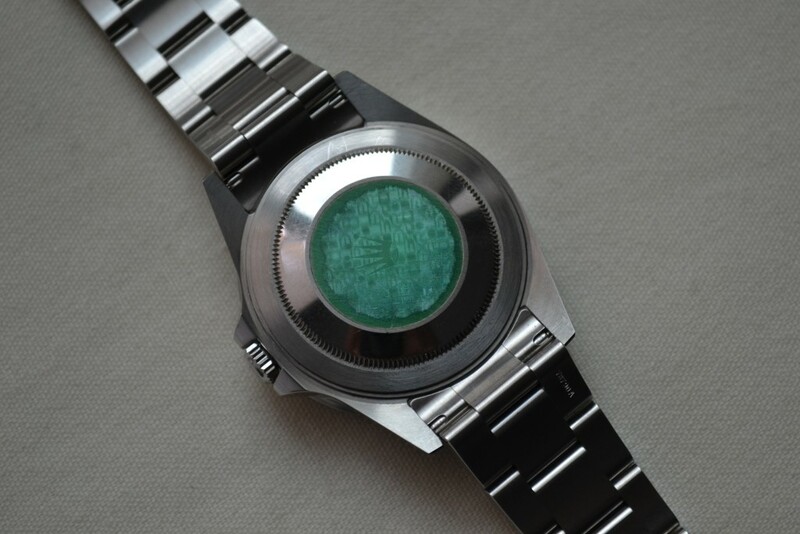 Additional: The watch currently runs well but service history is unknown. 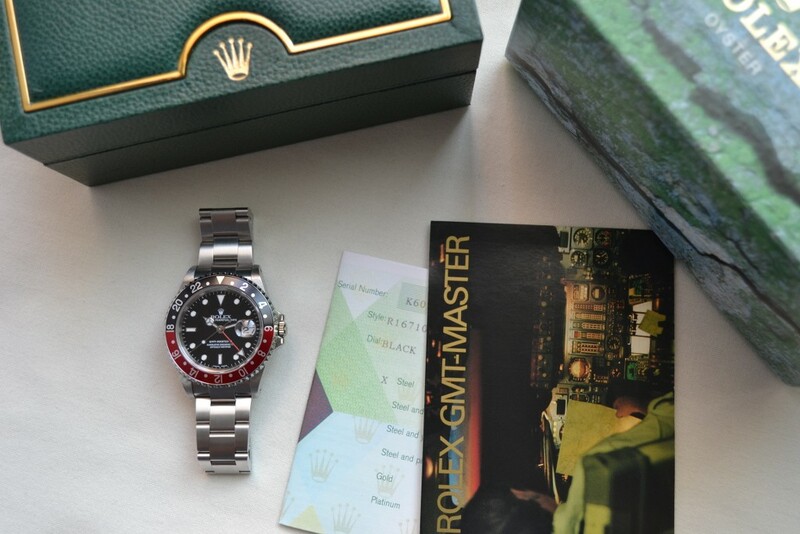 The watch comes with the original outer box, inner box, warranty certificate, and book. 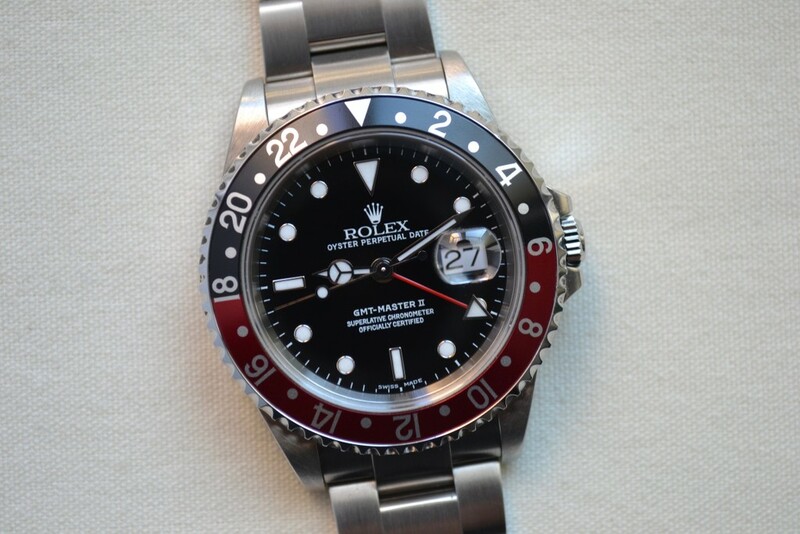 Asking $11,450 by wire (or check deposited to my bank account) shipped and insured within the US or face to face in the Los Angeles area. International shipping available at an additional cost.